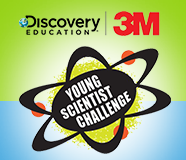 Discovery Education and 3M have again partnered together to bring you the Young Scientist Challenge for students in grades 5-8. The challenge has them create a 1-2 minute video describing a new, innovative solution that could solve an everyday problem. Ten finalists will be chosen for their passion for science, spirit of innovation and ingenuity, and effective communication skills. Students need to think critically about the world around them; identify an everyday problem relative to their lives; brainstorm real-world solutions using science, technology, engineering and math STEM principles; and produce a 1-2 minute video explaining their innovative solution. 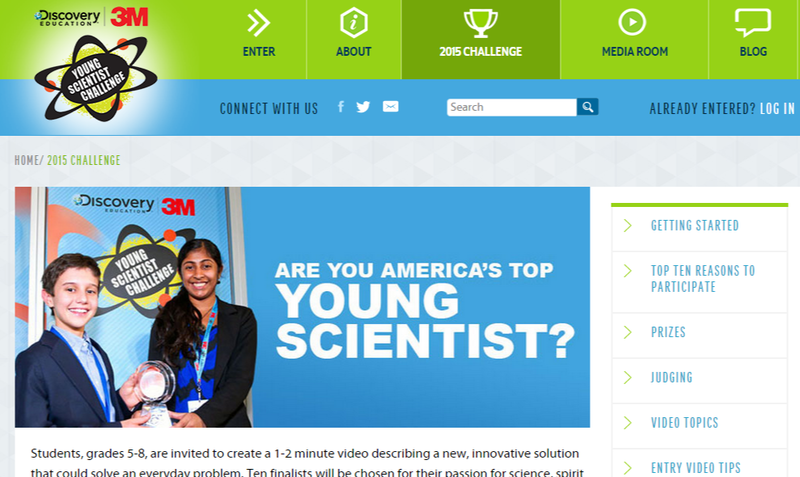 It is a great way for students to explore science and win some great experiences and even money. The site has some excellent resources and support. Entries are accepted into April so get going soon!